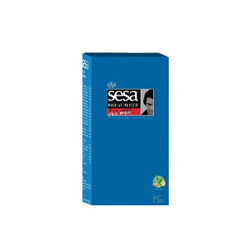 Ban Labs Sesa Men's Hair Vitaliser is a complete Treatment of Men Hair Loss. It is a Hair Vitaliser with goodness of Natural Herbs, Essential Oils and Stress reducing aroma for Total Hair Care Solutions. Vitalises Hair shaft and scalp and prevents hair loss induced by UV Rays and pollution. Divine Love® Rejuvenating Ayurvedic Conditioner's natural active ingredient nourishes and rejuvenates healthy, abundant and lustrous hair leaving it feeling soft, luxurious and sensual. This gentle hair rejuvenating and toning conditioner is best to be used daily for all types of hair. Sim Khirid Enterprises Pvt. Ltd.
Clean and refreshing, Zordan Herbals Hair Conditioner help counter the stresses your hair is exposed to daily. Give your hair a beautiful, healthy shine. Cleanses, nourishes, moisturizes and rinses clean leaving no residue. 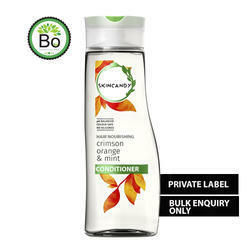 Our shampoo fragrances and conditioner fragrances have been widely acknowledged because of their authenticity. We make these fragrances from well tested and authentic ingredients which are harmless to user’s skin. We conduct various stringent quality tests to ensure their efficient and long lasting performance. Sonya Volume Conditioner is the perfect complement to Sonya Volume Shampoo. Our exclusive formula boosts volume, thickness and increases lift while leaving hair with superb softness, manageability, and shine. Shyam Life Science Pvt. Ltd. Being a reputed company in the industry, this is our responsibility to offer standard quality Ayurvedic Hair Conditioner. Hair Conditioners with organic and ayurvedic ingredients that not only help in nourishing the hair but also improvising its quality in the long run have been our USP for a long time. A zero damage formula for conditioning of hair has been the most talked about product amonst our cliental. This daily conditioner helps to prevent moisture loss on dehydrated hair while restoring resiliency and shine. Protects against cuticle damage.